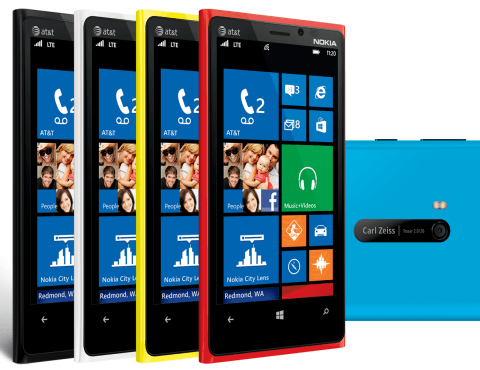 Nokia has recently launched Windows Phone 8 Series smart phones . The devices are Lumia 920 and Lumia 820.Here is a quick review of Nokia lumia 920 . In this post we are gonna focus on Nokia lumia 920 smart phone that has impressed lots of people all around the world and are considering to buy this phone.Before the launch of this phone Nokia has a huge amount of expectations and surprisingly they were not disappointed as this phone has catched millions of eyes.This phone is a stiff competition for iphone 5 and HTC windows Phone 8X.This phone comes with much better hardware and display qualities as compared to previous lumia smart phones .With the launch in USA about 2.5 millions units have been already sold out which is a great success.This phone is powered by 1.5Ghz Qualcomm’s dual-core Snapdragon S4 which gives fast processing of applications and performing multitasking with no lag at all.Unlike the previous AMOLED display this phone comes with an IPS (In Panel Switching) LCD Display which provides superior image qualities.It comes with sleek and slim design composed of polycarbonate unibody shell and Gorilla Glass Screen which has made this phone a standout Designed phone.Lumia 920 has the most advanced and brighter screen with the use of Nokia Pure Motion HD+ which give sharper image rendering and high video quality .Playing games on this phone is just awesome because of its display. *It is expected to be released in the month of December or January in India. Pankaj Kumar is a Tech Savvy and SEO Expert with an experience of over 5+ years in the field of Digital Marketing along with contribution of over 700+ articles @Rushinformation.